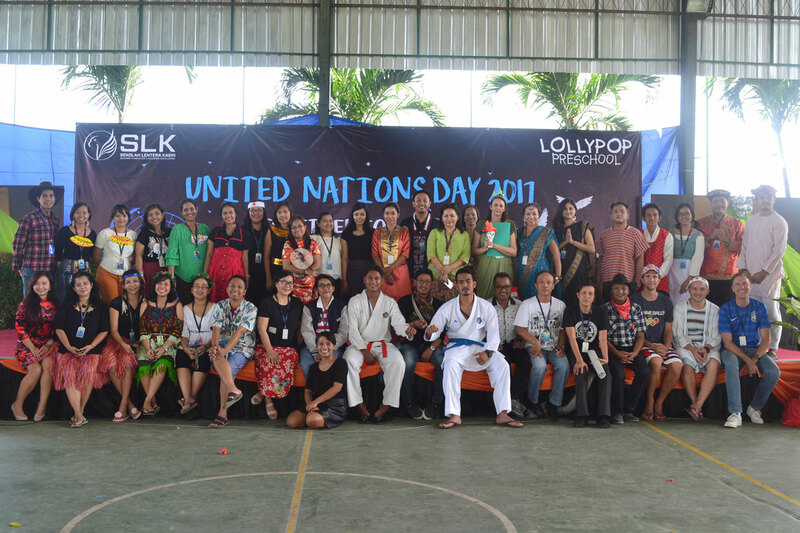 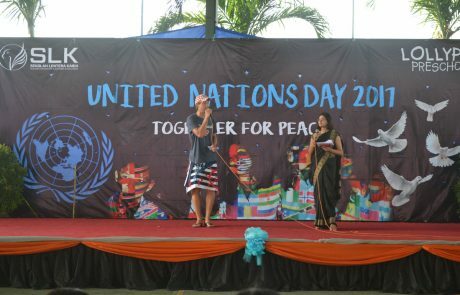 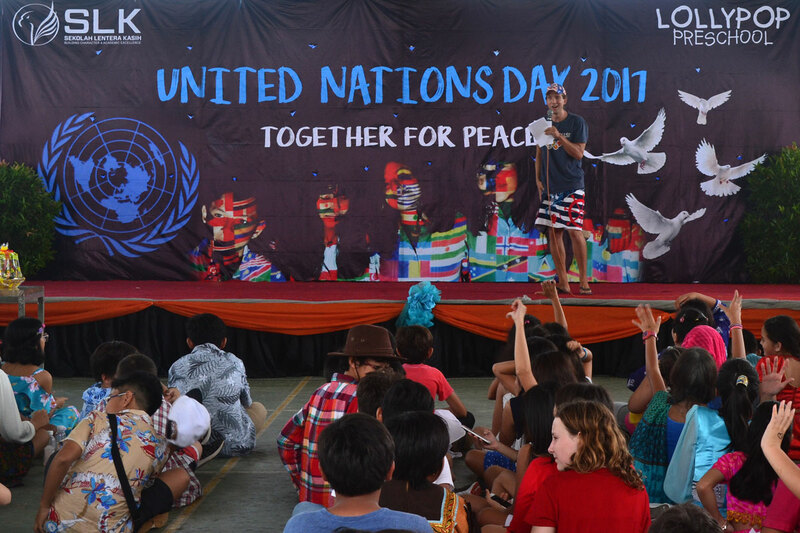 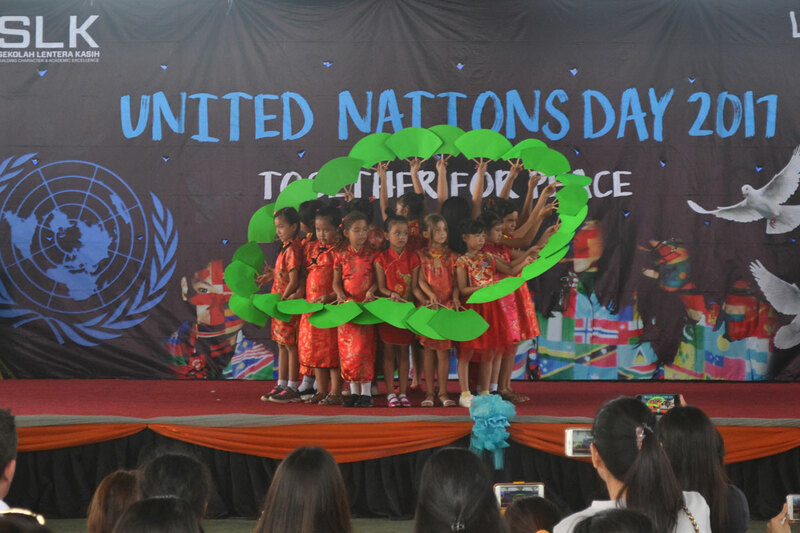 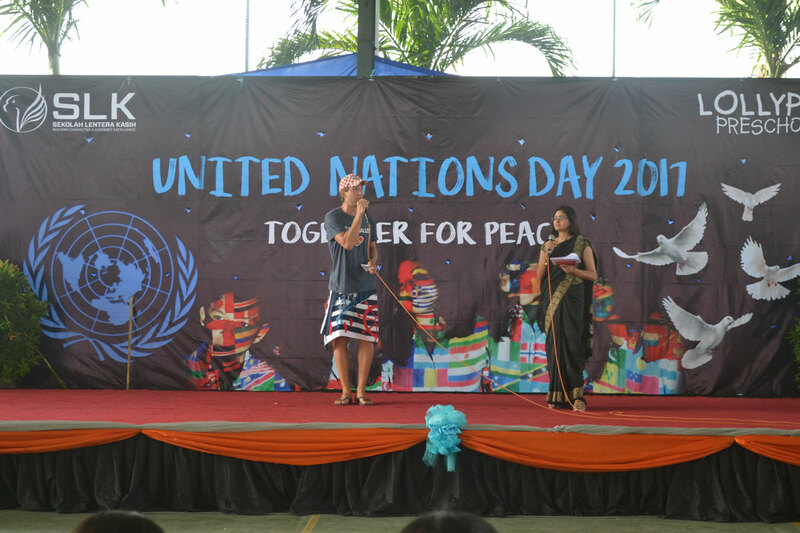 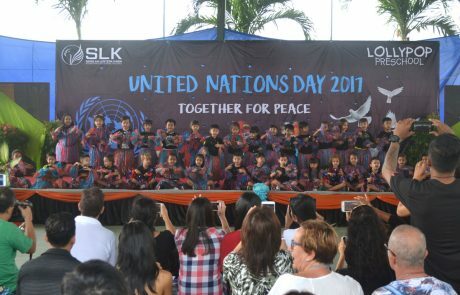 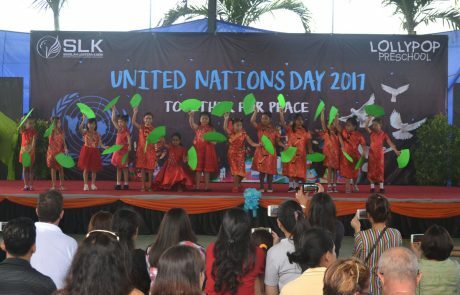 On the 19th and 20th of October 2017, we celebrated the United Nations Day. 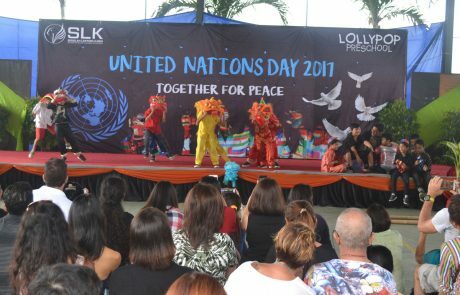 It actually falls on 24th October and it is celebrated to promote human rights, social progress and world peace. 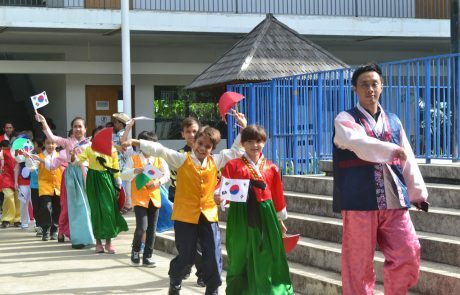 This is an important celebration for us as a school as we realize that the world we live in is made up of many diverse cultures and people. 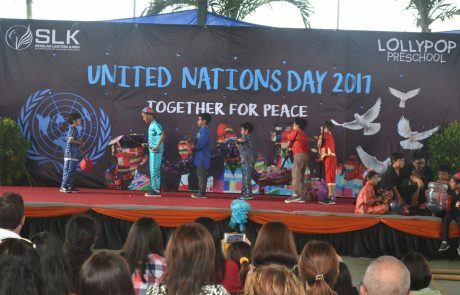 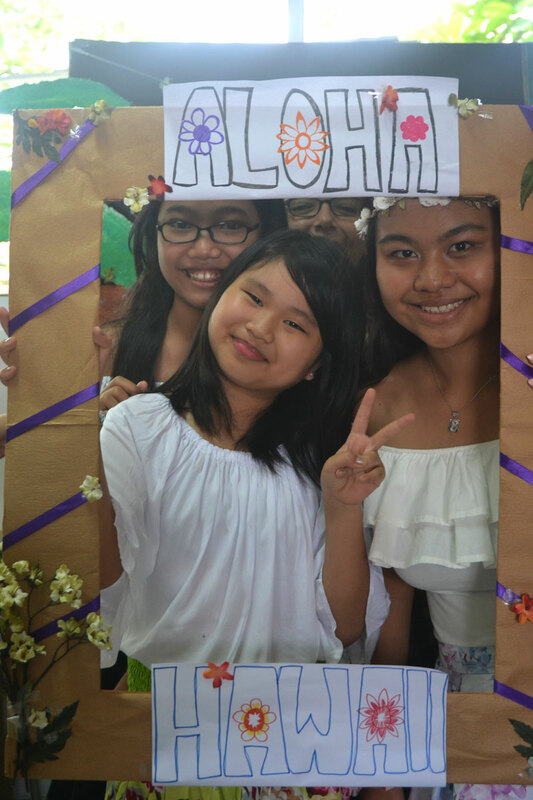 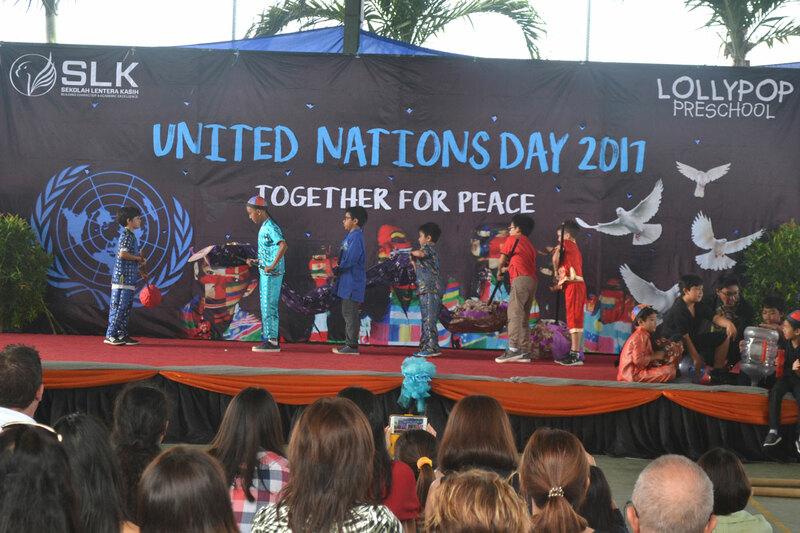 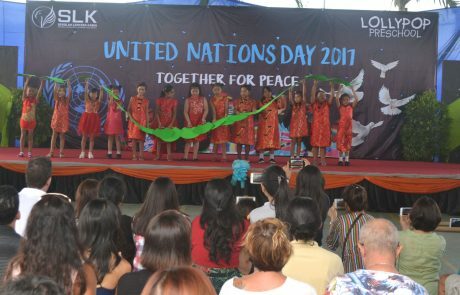 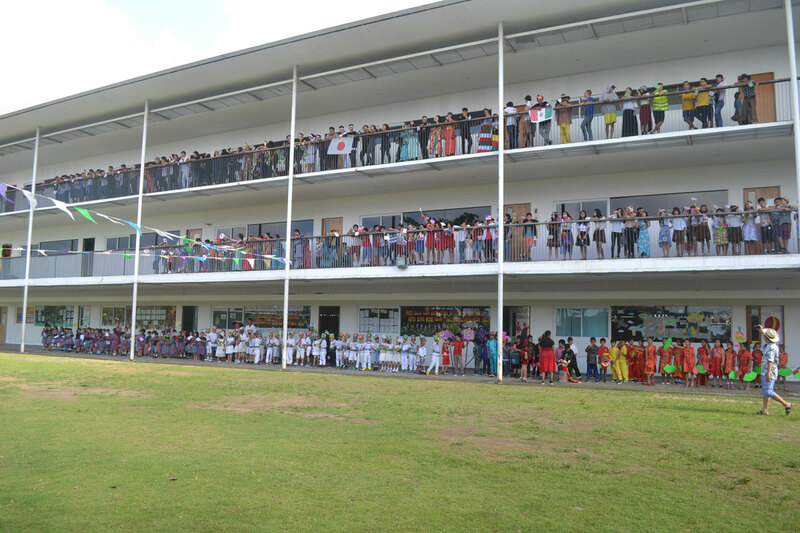 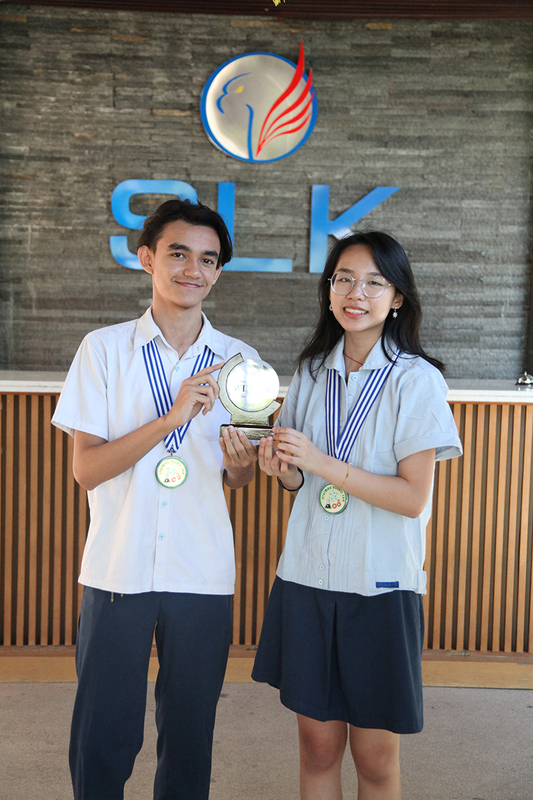 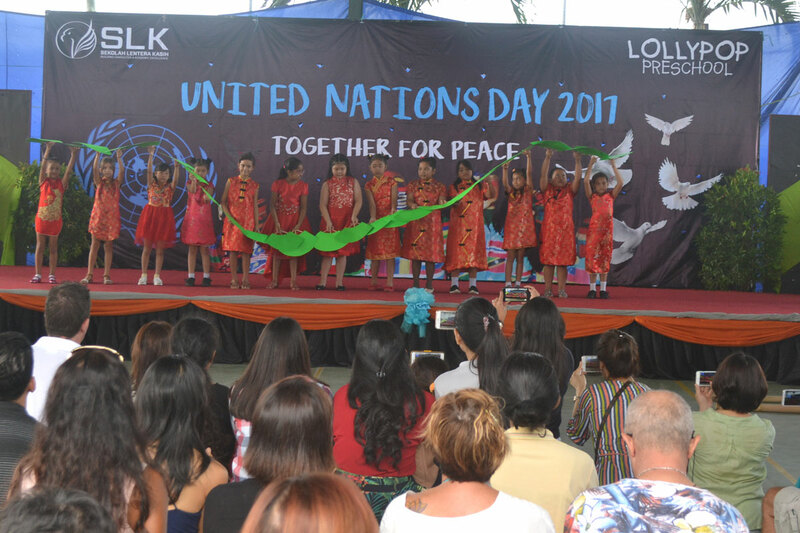 This year, our theme was ‘Together for Peace’. 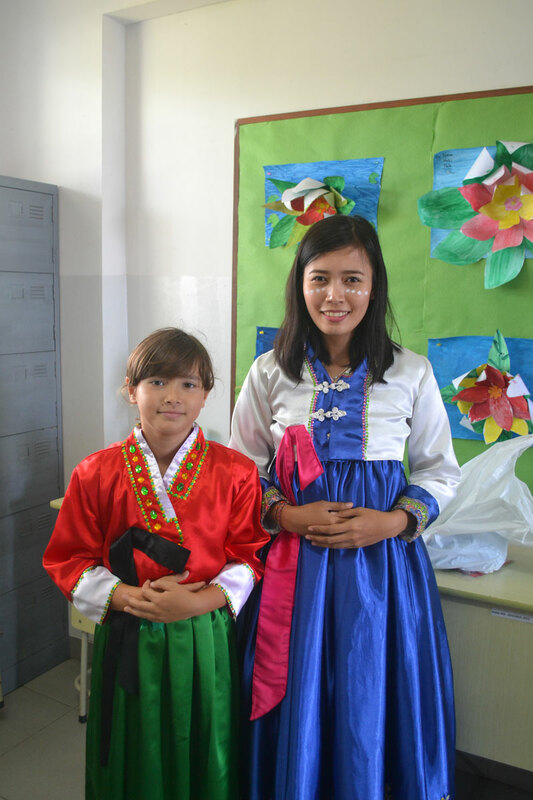 Although we might be different from each other, we strive to learn to respect our differences and live harmoniously here in this part of the world. 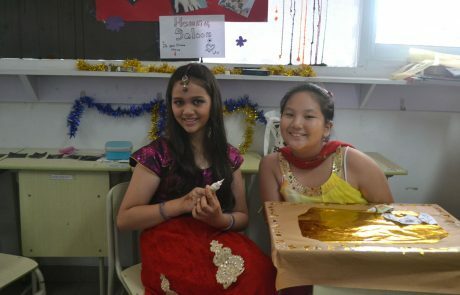 We began the celebration by having cooking demonstrations from our Parent Support Group (PSG). 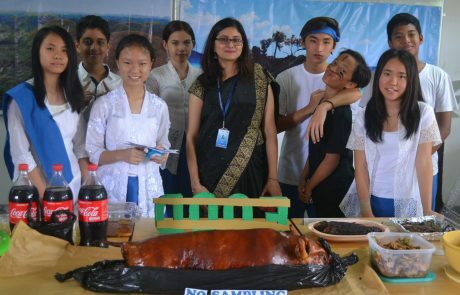 There were four stations altogether and the food served came from all over the world, such as China, Japan, Thailand and Mexico. 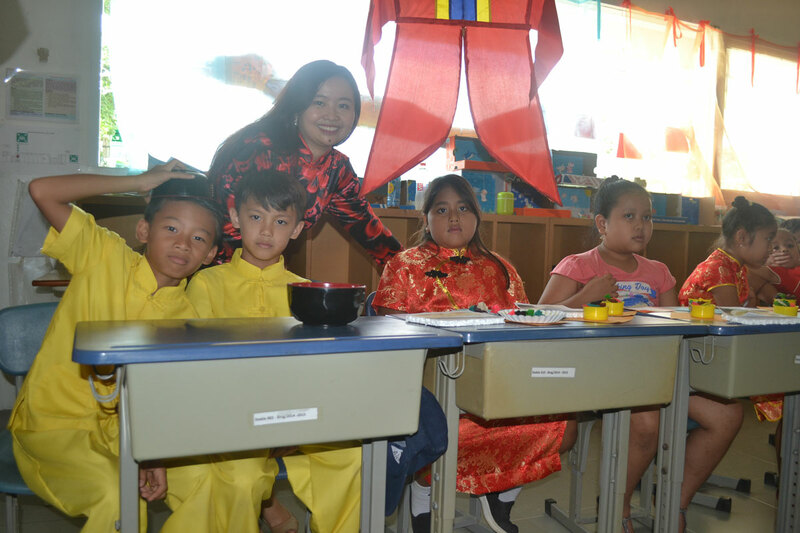 The students learned how to wrap dumplings, saw how sushi maki is rolled, tried the famous Thai mango sticky rice dessert, and ate corn chips with salsa, chili and guacamole. 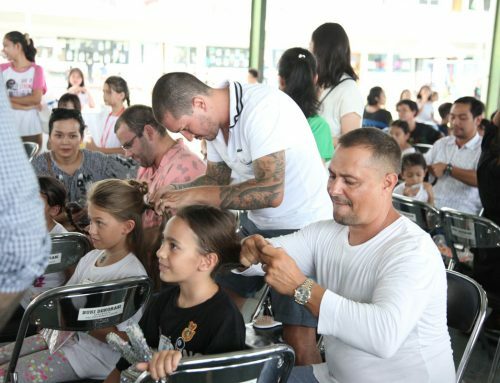 It was a real treat for everyone! The following day, the celebrations began with the parade of nations. 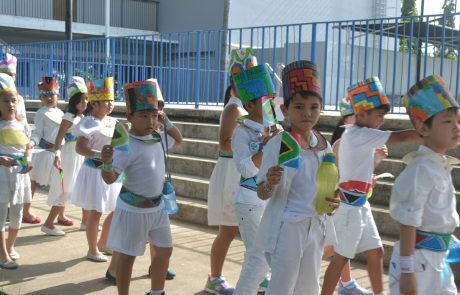 Students marched in their wonderful costumes with little flags in their hands. 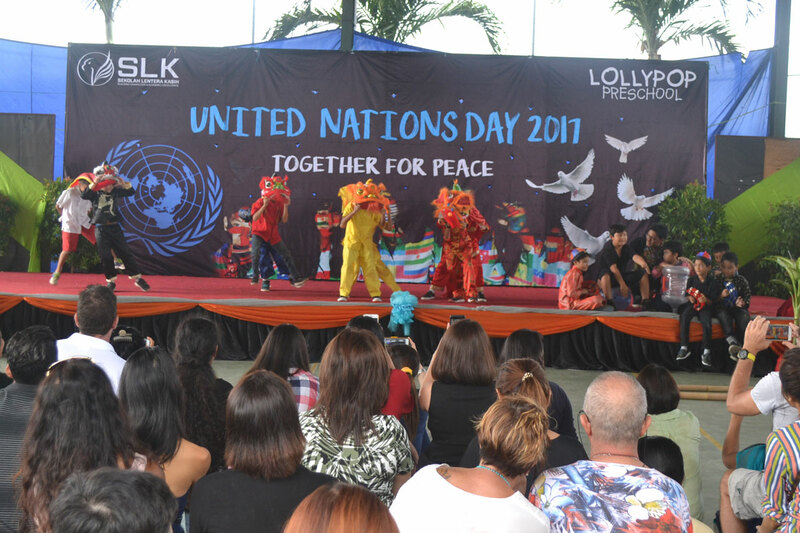 Then, we watched a series of dance performances. 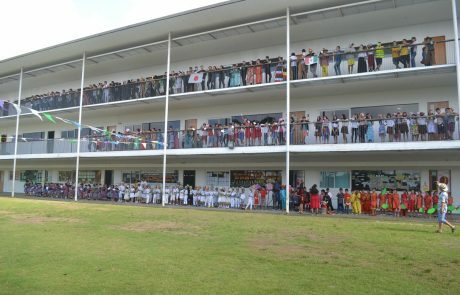 It was amazing to see how the students danced with their heart and soul. 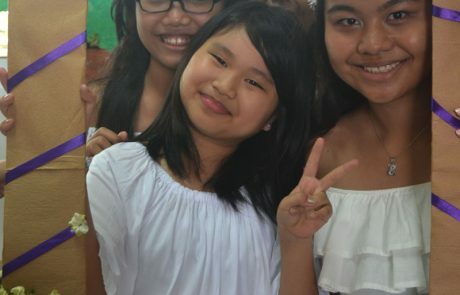 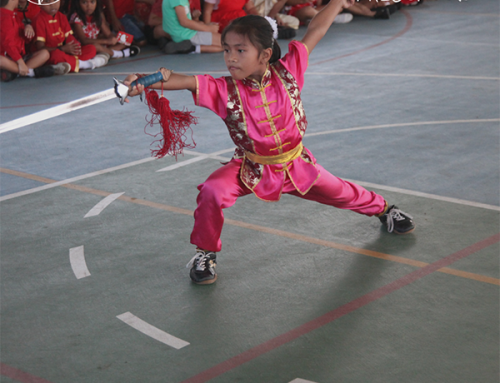 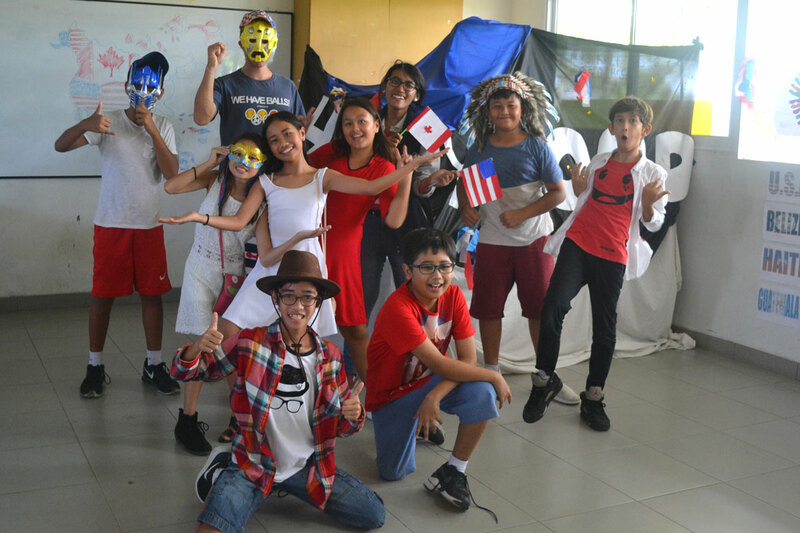 The highlight of the dances of course came from the Grade 8 students where a group of students clapped two bamboos together while their friends tried to jump over the bamboos with their eyes blindfolded. 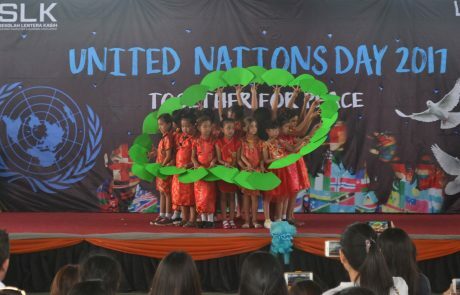 Everyone in the audience was holding their breath. 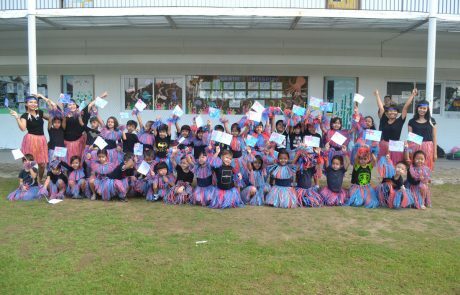 They really presented an amazing performance. 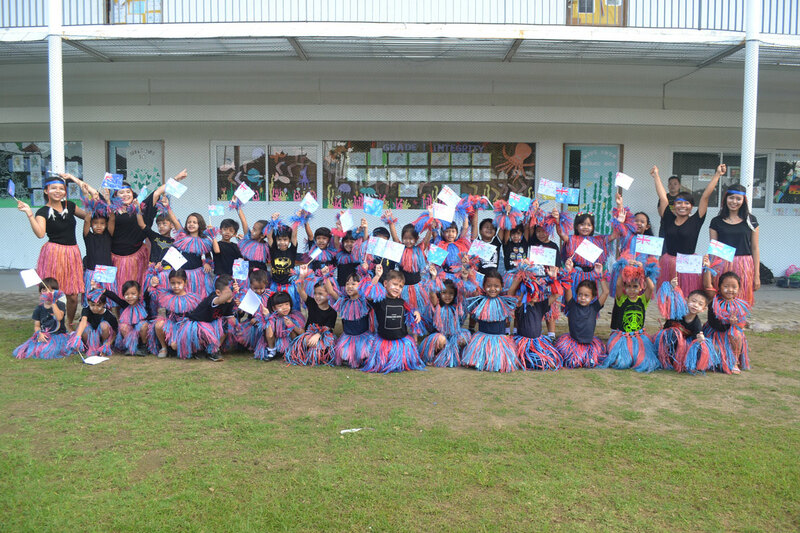 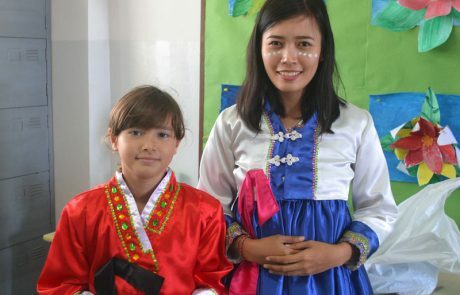 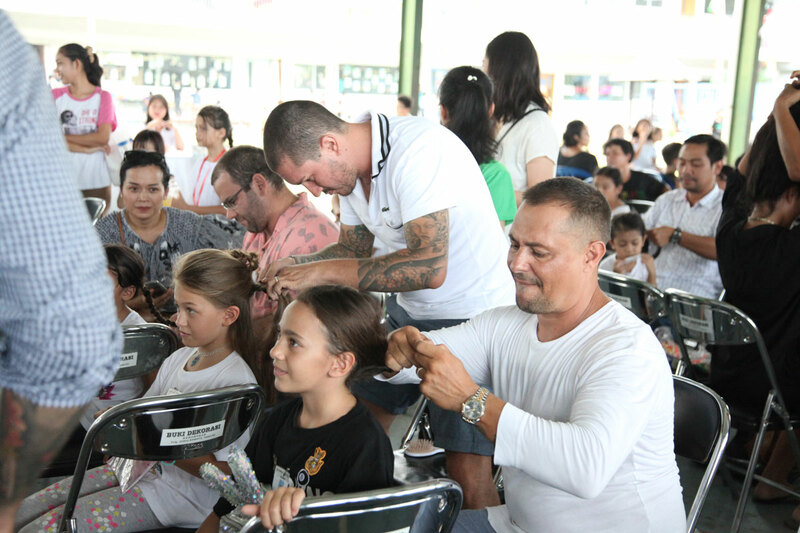 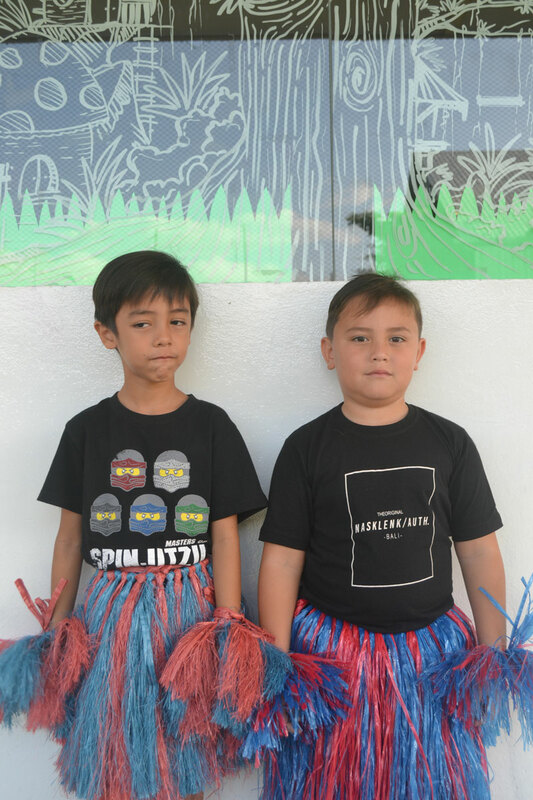 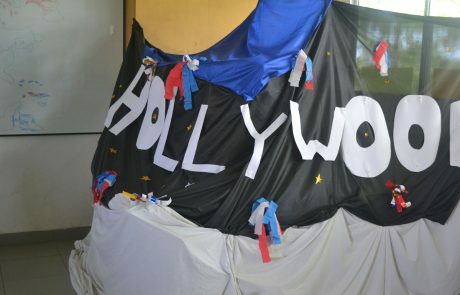 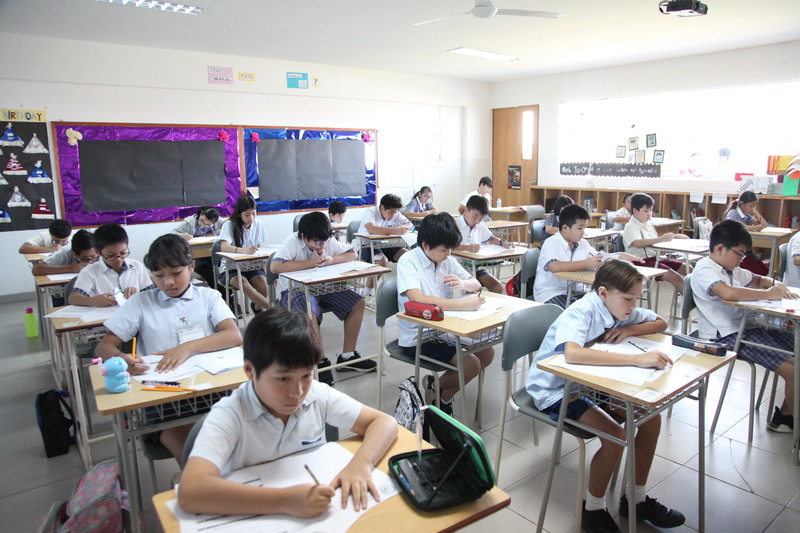 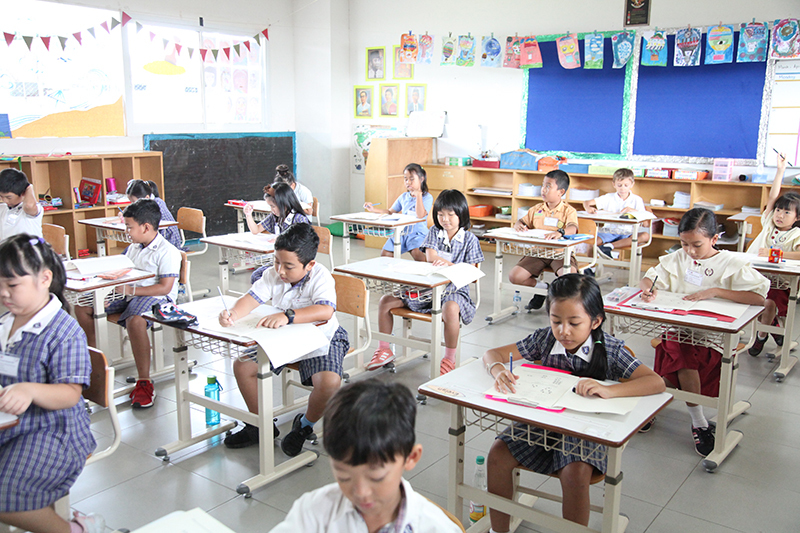 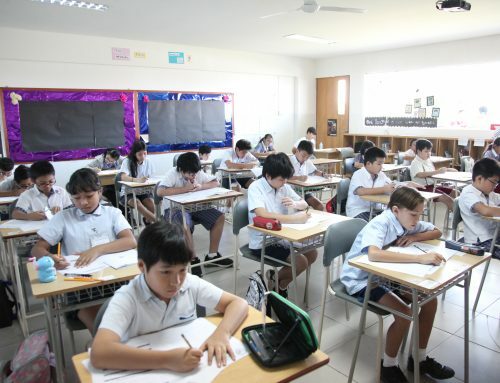 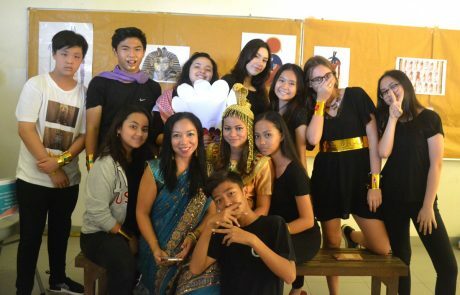 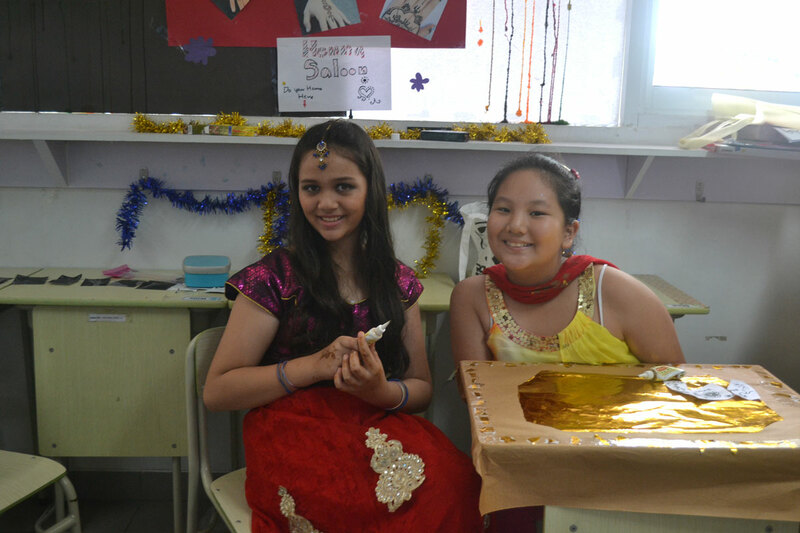 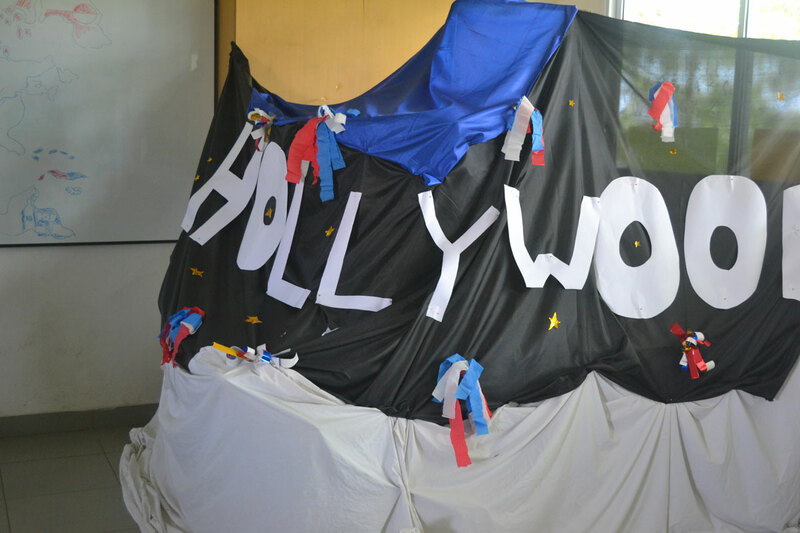 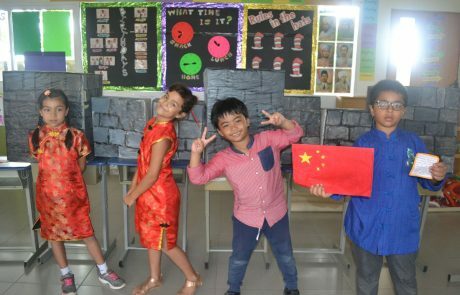 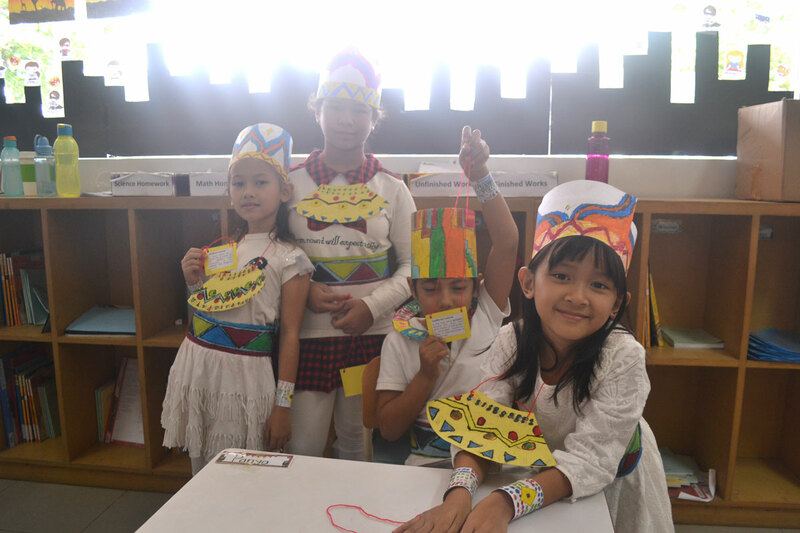 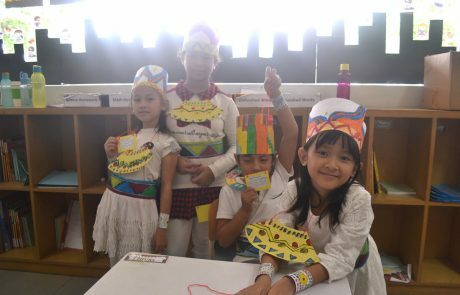 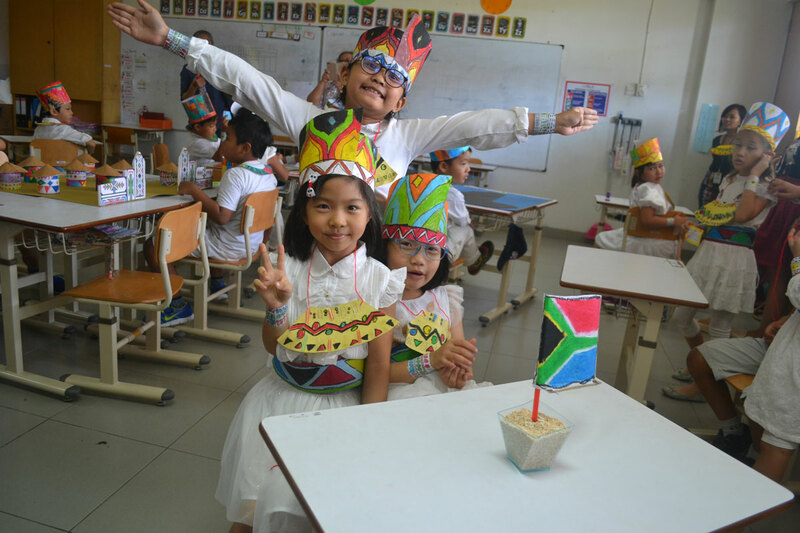 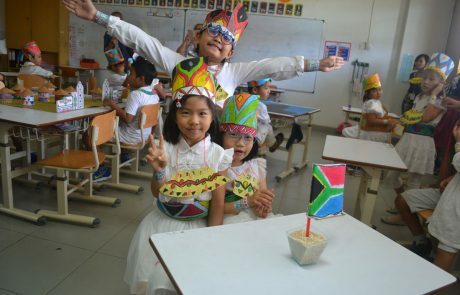 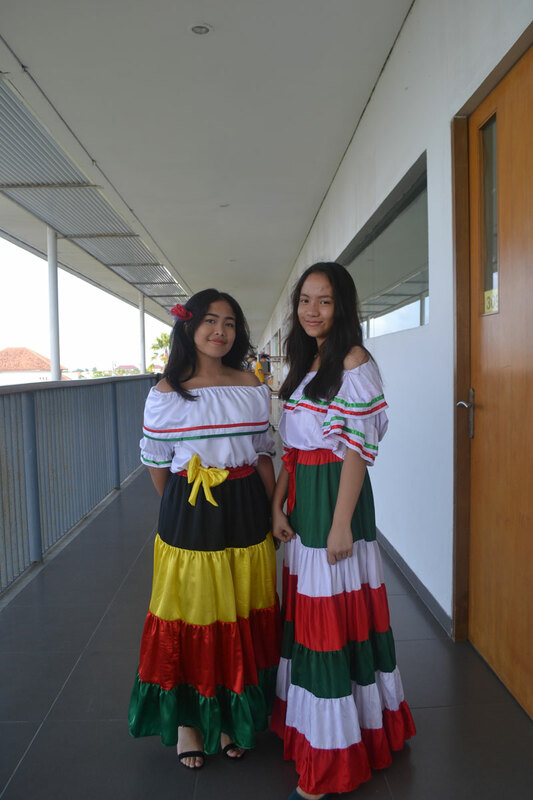 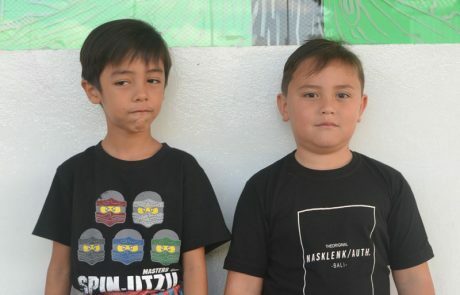 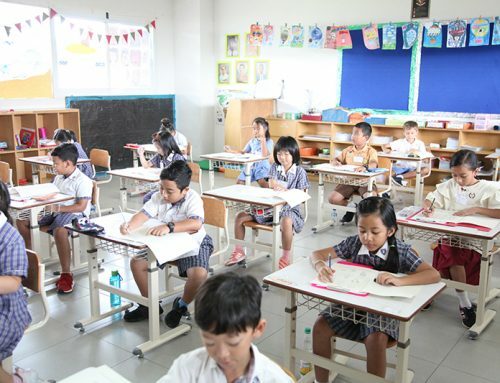 After the performances, students became world travelers by visiting different classrooms which were already decorated according to the countries they were assigned to. 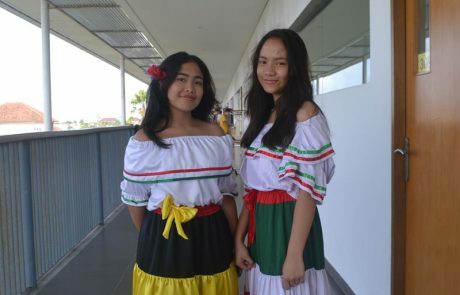 There was so much to learn, from national landmarks such as the volcanoes in Hawaii, USA, to the different cultures of the various countries, such as henna from India and the Day of the Dead in Mexico. 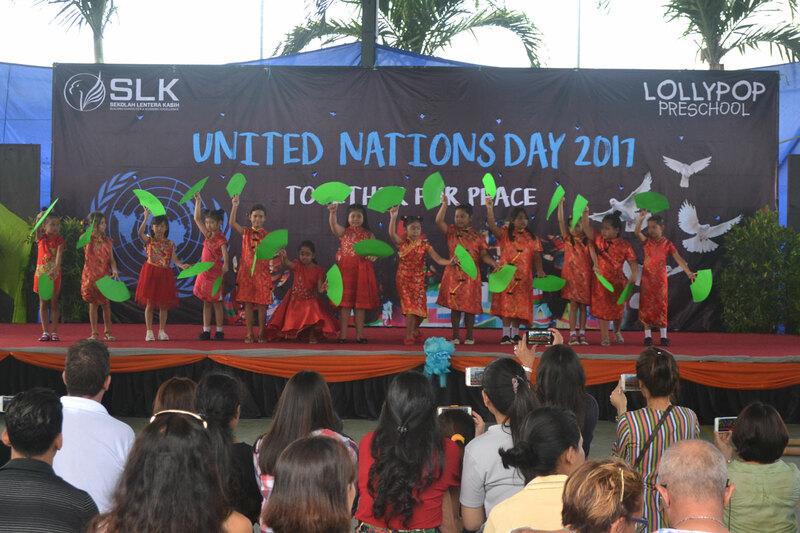 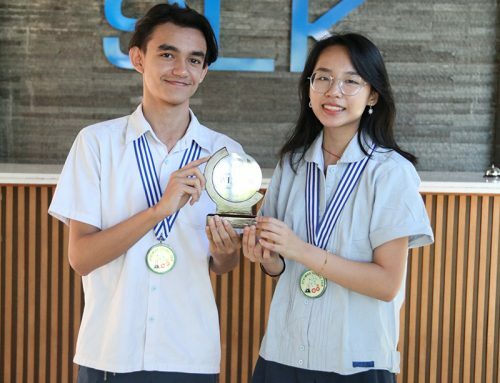 We hope that through the UN day celebration, we can all be reminded of the peace that we need in order to live side by side with people who might be completely different from ourselves. This is crucial as we realise the importance of being global citizens.